"Participation in gardening can bring benefits to the well being of many people, whatever their age or ability"
This was agreed, as a lasting tribute to the main "architect" of the scheme, John Roberts, a former Committee member and Treasurer who had recently moved to Gloucester. John created Abletogrow, which is a small firm specialising in addressing some of the needs, gardening and otherwise, of people with Autism and other profound and complex learning needs. 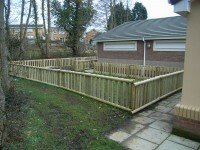 The fencing around the Community Garden area is nearly complete. The tree planting project took another step forward, with the trees being transferred from the children's homes to the Community garden. 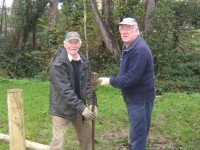 Under the leadership of John Roberts the trees were planted on Saturday morning, 28th November 2009. 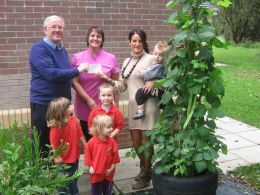 Katie Lewis of the Old Bridge Inn presents a cheque to Huw Thomas (Chairman of the Llancentre Committee) towards the Community Garden Project. Also in the picture is Michelle Coffey of the "Early Beginnings" Playgroup and three of her early beginners. 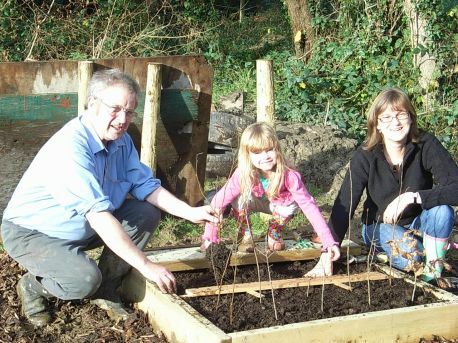 The next development of the Community Garden at the Centre, is to provide a facility which would include an allotment and play area for children of nursery and infant ages. It would consist of an "L" shaped area, bounded by the river, the Library and the Morlais Meeting Room. 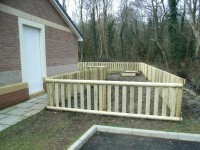 The area will be fenced off with a 1metre high fence. 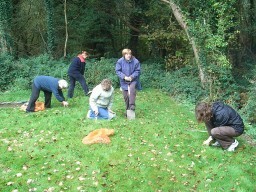 The first stage of the project was to plant daffodil bulbs (all Welsh produced). 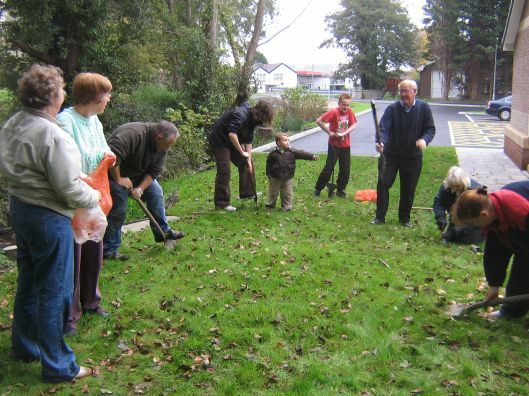 Children from the Infants and Junior schools at Llangennech, pupils from Ysgol y Strade and volunteers from the village, carried out planting in October. 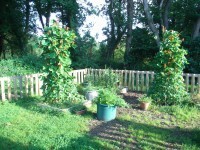 Further bulb and tree planting will take place in the Spring, hopefully funded by sought after grants.